Félicien Désiré Diffonty (1869-1953) was the founder of the domaine. Throughout his working life he continued to develop the property with is son Marius, enlarging his vineyard and placing the commercial emphasis on direct sales from the property itself. In 1924 he took an active part in the creation of the Syndicat of Châteauneuf du Pape producers’ association. Marius Félicien Diffonty (1903-2000) came next in the line of succession and soon made is mark on the domaine. He built the cellar on the Route de Courthézon and enlarged the area of the vineyard. 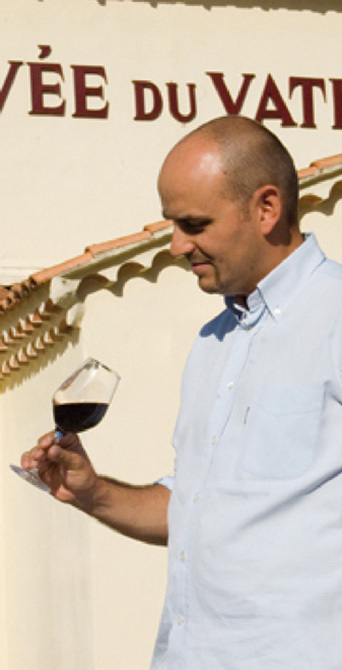 Universally appreciated by customers for his great charisma, his wines and expertise were recognized by all. 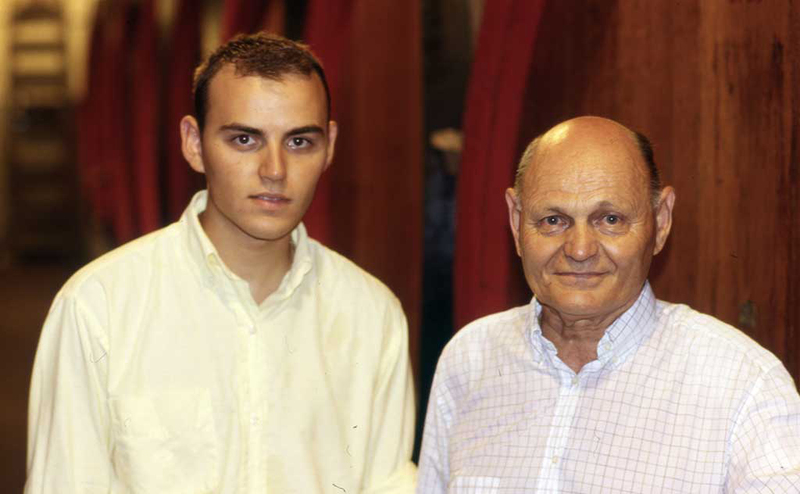 He was the mainstay of the family until his death, and continued to represent the domaine by his presence in the family cellar until the age of 93. Félicien Diffonty had a major impact on the life of our domaine. 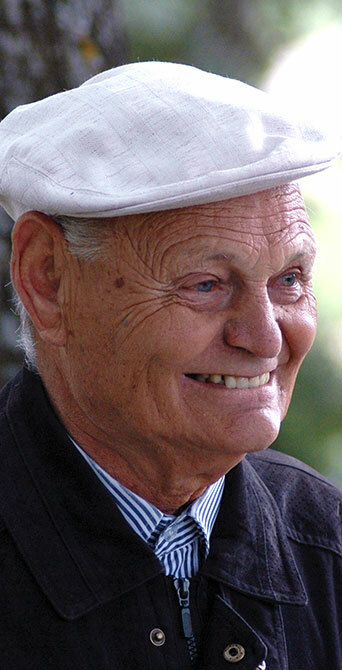 Combining the roles of working wine producer and politician, he committed himself to the cause of his municipality, becoming Mayor in 1965 and remaining in the post until finally deciding to quit 30 years later, in 1995. Progressive and far-seeing, he participated in the creation of the Fédération of Châteauneuf du Pape wich grouped together yhe two produers’ association. Félicien Diffonty created the brand name Cuvée du Vatican in 1958. He retired from his winemaking activities in 1993. Jean Marc Diffonty (1972-…) takes the reins of the Domain in 1993 at the retirement of his father. Like Félicien, Jean-Marc Diffonty is involved in the union life of his Appellation. He became president of the young winegrowers of Châteauneuf-du-Pape in 1996, then took various functions until he was president of one of the Producers’ Trade Unions of the Appellation. At the same time, he brings significant changes to the development of wines and the conduct of vineyards for a more natural and ecological production. He created a plot selection in 1998, ”Reserve Sixtine” of the ”Cuvée du Vatican”, which will become the ”Château Sixtine”, great wine of the estate in 2000, and one of his most beautiful achievements. Jean-Marc Diffonty giving himself a clear goal with continuing the work of his family while affirming a more modern style to propel the Sixtine Castle to the rank of the greatest names of the Appellation of Chateauneuf-du-Pape. The traces of the DIFFONTY family go back to 1673. 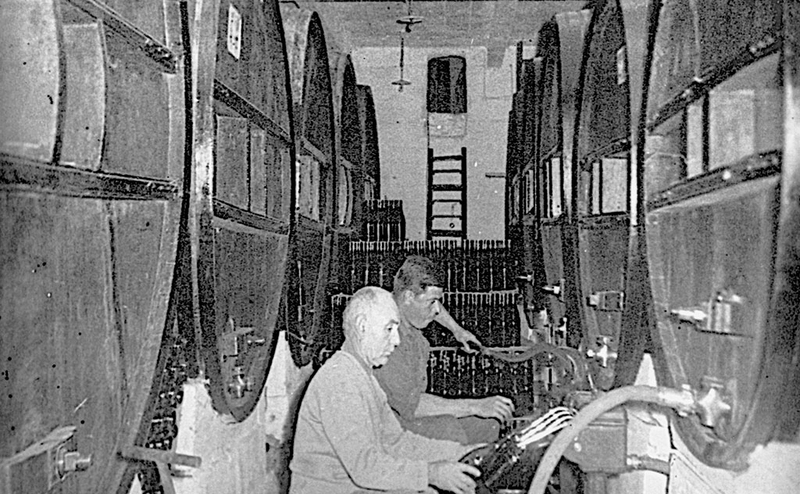 Working in agriculture (olives, cherries, vines, roses … and fodder), it was only at the beginning of the 20th century, with the creation of the Châteauneuf-du-Pape appellation, that viticulture took over above, becoming the main activity of the family. 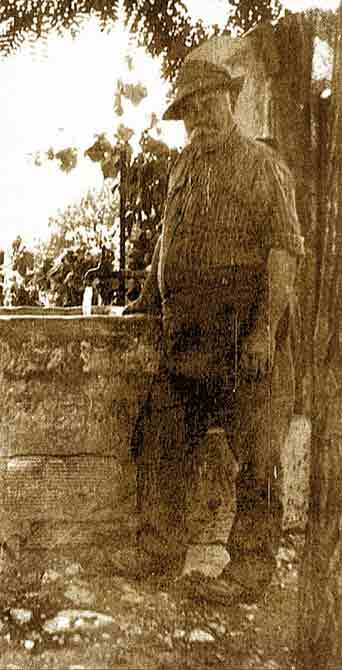 1900: The forefather Félicien Désiré DIFFONTY owns 2 hectares of vines in Châteauneuf. 1914: Marius takes his first steps in the cellar. He holds the candle of his father during racking. Félicien develops retail sales (60 liters, 110 liters, 225 liters), in addition to traditional sales to local trading. 1920: The family owns 7 hectares and continues its expansion. 1924: Félicien Désiré and Marius DIFFONTY participated to the creation of the Syndicate of Chateauneuf-du-Pape. 1927: Birth of Félicien, son of Marius. Félicien Désiré DIFFONTY graduated at the Avignon fair (the oldest diploma in our possession). 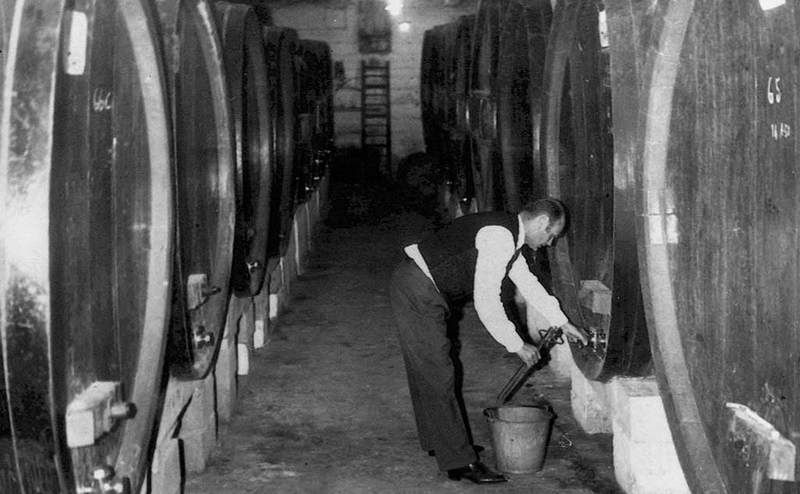 1929: Marius built his own house, five vats, a small cellar with big oak casks and a stable on the site of the current Domain. 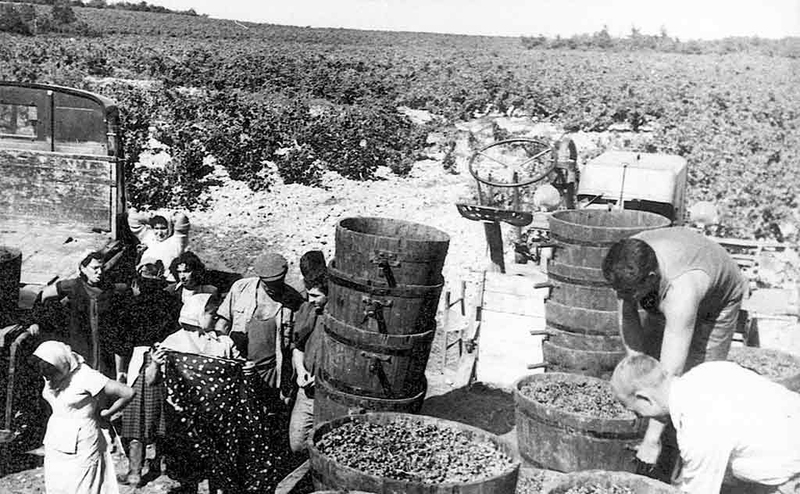 1930: The Domaine has 10 hectares of vines in Châteauneuf-du-Pape. Most of the harvest is sold in bulk. 1953: Félicien DIFFONTY decides to more actively market the wine of the property in bottles. 1958: Creation of the Trade « Cuvée du Vatican » blessed by the Pope Jean XXII. 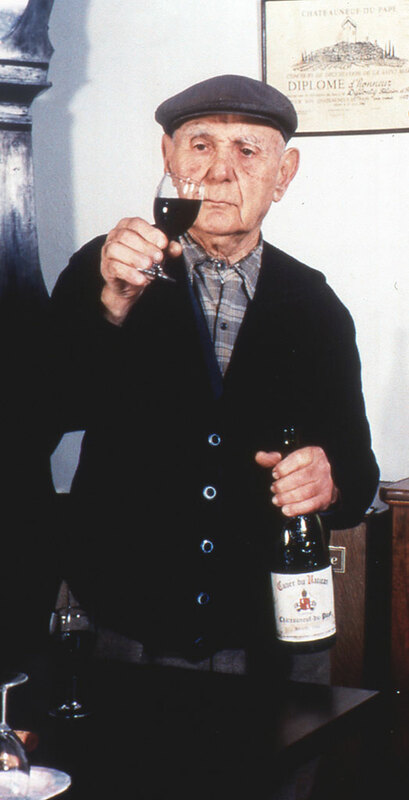 1962: Félicien is elected President of the Young Winemakers of Châteauneuf-du-Pape. 1965: Félicien is elected mayor of Châteauneuf-du-Pape and remains until 1995. 1972: The birth of Jean Marc DIFFONTY. 1993: Jean-Marc Diffonty takes the reins of the Domaine, only two years after his arrival, with his first vinification in autonomy. 1994: Felicien Diffonty was retired. 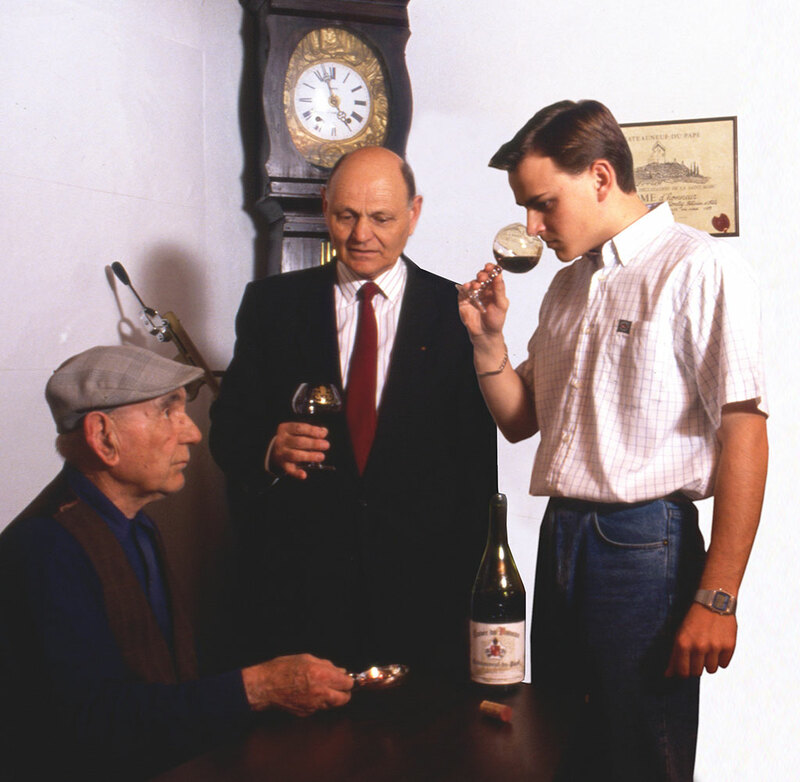 1996: Jean Marc Diffonty was the president of the young winemakers from Châteauneuf-du-Pape. 1998: Systematic control of yields (reasoned amendments, severe disbudding, green harvesting to limit the vigor of young plants present in the old vines). Birth of a second cuvee, “la Réserve Sixtine”. 2001: First single bottling by lot with the 1999 vintage. Changing the harvesting mode: Vibrating conquet, sorting table, destemmer. Thermoregulation of bottles storage. Systematic vinification in small tanks combining all the techniques (classic pumping-over, turbo-pigeage, delestage). The Sixtine Reserve represents 25% of the production of Châteauneuf-du-Pape. 2005: Sixtine Red 2003 : 19 on top 100 Wine Spectator. Creation of Reserve Sixtine White. 1999: The winery own 14,50 hectares. 2010: Brand evolution, Reserve Sixtine to Château Sixtine. 2013: Jean-Marc Diffonty is Vice-President of the Federation of Producers’ Trade Unions. 2016: End of the renovation of the winery with the acquisition of small storage tanks to facilitate plot selections.